This is a compilation of referral and testimonials that have been provided over the past few years. I've had the pleasure to with with Sy over the last year. He's been instrumental in helping me develop several festivals and identifying local performers that are a perfect fit for Big Cork Vineyards. Sy represents a wide-range of musicians all diverse in genres, but all talented. Responsive, and helpful in all areas, I would highly recommend working with Sy. "true professionals and a pleasure to work with behind the scenes as well." Thank you so much for all of your hard work and dedication. Carrie & Tom were so happy with how their special day turned out and it was all thanks to you. They truly picked a dream team of vendors (As If / Getting The Gig). I really enjoyed working with all of you and I am looking forward to the next event we get to work together. ".. how nice it was to work with you and your group"
"The Reagan Years were consummate professionals in all of our dealings from start to finish. Great music, great energy, and great fun for all ages. Would hire again without reservation." We are still receiving rave compliments from our guests on the band. "Sy made the process of booking the band seamless. He had lots of great ideas and was open to anything my husband wanted the band to either perform or play during their breaks. If you’re thinking of booking TRY for that extra special touch – trust me you’ll not regret it! They Rock! It was a pleasure meeting you as well! Your organizational planning skills were a huge help! The bride, groom and all of the guests are still telling me how great you guys were. Working with you again is something I am looking forward to. You all put on quite the show last Saturday night. Everyone we talked to said you all rocked! You were pitch perfect on every song. I especially appreciate Sy--just a top notch guy. I truly hope to work with them again. The Reagan Years does not disappoint. We booked them for a corporate event and to say that it was a success is an understatement. I had folks comment that it was the best corporate party they've ever attended - all because of The Reagan Years. Sy was extremely organized and accommodated all of our needs. Sy sacrificed breaks to help us take care of a "spirit competition" and facilitated entertainment - again, even on breaks! Sy, I cannot thank you and the rest of the band enough for Saturday night. Without a doubt, it was you guys who made the party what it was. We were extremely happy with you all, in fact every guest was as well. Thank you so so so so much. I worked closely with Sy and he was info dative, clear and helpful. We spent quite some time going over the tracks that would be played so that I (the bride) would be most happy with the outcome...and I was! You made our wedding special and memorable and EVERYONE had a blast. Thank you so much, from the bottom of my heart. Much love! They were fantastic to work with and in concert. We received so many complements on them, thank Sy for working to make it happen. The band was AWESOME!!! And they were so easy to work with. I had the pleasure of working with The Mixx during a corporate event August, 2012. I had hired them to play a 4 hour party that was directly following a convention. Before the event, they provided excellent communication and direction. They took it upon themselves to ensure the venue had the right equipment, relayed information in a very direct and clear manner, and responded quickly to the differences that we needed to account for in the space. 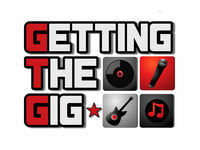 GETTING THE GIG ENTERTAINMENT ©2018 Getting The Gig, LLC All Rights Reserved.